Paul Dowd Phone: 087-2832630 has many years of experience in all aspects of Digger work, Paul works to a very high standard at a very competitive rate. If you need ground works for a new build, an extension, a shed then call Paul Dowd first and see what he can do for you. Paul Dowd comes highly recommended, when Paul says he will turn up at a certain time and work to a certain schedule then that is exactly what will happen. 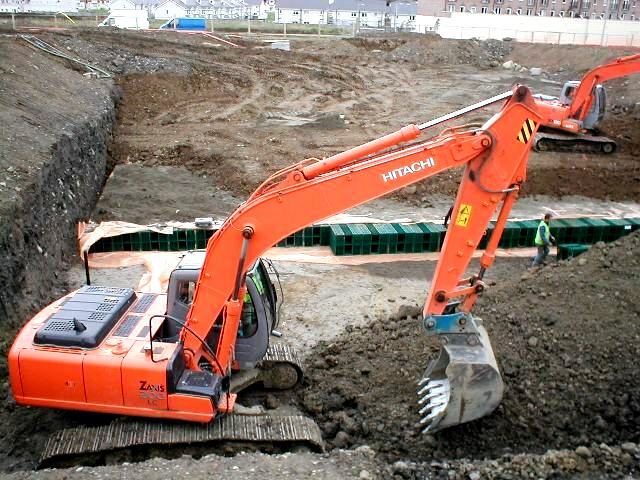 Do you need to install drainage on soft ground, then don’t make a mess with a wheeled digger, use a digger with tracks, tracks ensure safe working and level ground when the job is complete.